Papri chaat is the one of the most savory and popular street foods of New Delhi, India. It is an unique appetizer that is crisp, tangy, sweet and umami flavor all in one bite. When visiting New Delhi, you can find this chaat on the menu of street vendors, restaurants, and wedding parties whether causal or upscale. 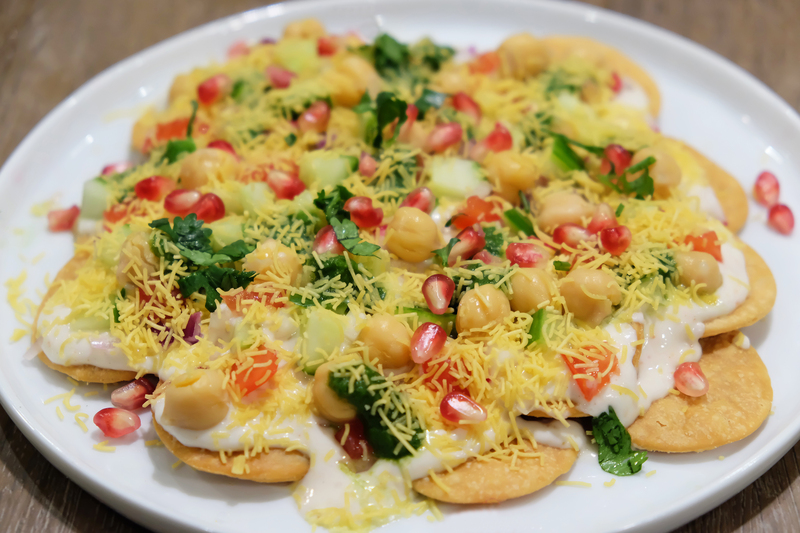 A chaat is typically a crispy base topped with yogurt, spices, toppings, and the chutneys. This vegan take on chaat gets crunch from the papris, creaminess from the vegan yogurt, spicy/salty notes from the chili powders, freshness/color from the toppings and the great umami flavor from the coriander-mint and date chutneys. Try it just once and get hooked forever like me!